Who's Really To Blame for Traffic Congestion, and What Can Be Done About It? Who’s Really To Blame for Traffic Congestion, and What Can Be Done About It? Depending on what city you live in, you may notice traffic is becoming a big problem. 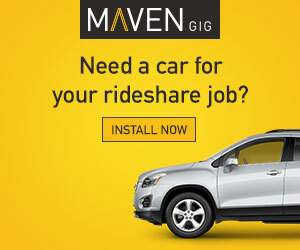 But is it ridesharing’s fault – or is it something else? And if Uber and Lyft are to blame, what should be done about it, if anything? Senior RSG contributor John Ince tackles those questions and potential solutions below. The San Francisco Examiner published an article in 2017 that stated ‘Uber and Lyft Responsible for Two-Thirds of Downtown Traffic Violations‘, a story that led to a fight over drivers, congestion – and who should be responsible for it. San Francisco is not unique in this battle, as Uber and Lyft have fought in many city halls around the globe, combatting accusations of congestion. City streets are scarce space and they just happen to be the battlefield of this war. San Francisco’s immediate objective was to squeeze money from drivers in the form of business licenses. Even more broadly, the city wants a better grasp of the dimensions of ride hailing. They want to know how many drivers there are in the city and what their affect is on on SF’s transportation infrastructure. Are Uber and Lyft Causing the Congestion? But recent studies cast doubt on that line of reasoning. Consider this recent study published in Chicago Tribune: Studies are increasingly clear: Uber and Lyft congest cities. This study lays out the arguments against ride-hailing clearly, “One promise of ride-hailing companies like Uber and Lyft was fewer cars clogging city streets. But studies suggest the opposite: that ride-hailing companies are pulling riders off buses, subways, bicycles and their own feet and putting them in cars instead. And in what could be a new wrinkle, a service by Uber called Express Pool now is seen as directly competing with mass transit. Uber and Lyft argue that in Boston, for instance, they complement public transit by connecting riders to hubs like Logan Airport and South Station. But they have not released their own specific data about rides, leaving studies up to outside researchers. And the impact of all those cars is becoming clear, said Christo Wilson, a professor of computer science at Boston’s Northeastern University, who has looked at Uber’s practice of surge pricing during heavy volume. “The emerging consensus is that ride-sharing (is) increasing congestion,” Wilson said. One study included surveys of 944 ride-hailing users over four weeks in late 2017 in the Boston area. Nearly six in 10 said they would have used public transportation, walked, biked or skipped the trip if the ride-hailing apps weren’t available. The report also found many riders aren’t using hailed rides to connect to a subway or bus line, but instead as a separate mode of transit, said Alison Felix, one of the report’s authors. “Ride sharing is pulling from and not complementing public transportation,” she said. Who Has the Data on Rideshare Traffic and Congestion? Why are Uber and Lyft so resistant to sharing their traffic data? Is it because they know how much they’re causing congestion, and they feel the data is incriminating? Is it because Uber and Lyft don’t want to give municipalities the ammunition they need to start requiring to ridesharing titans to pay for the privilege of clogging city streets? Additionally, why has traffic gotten so bad in many cities? 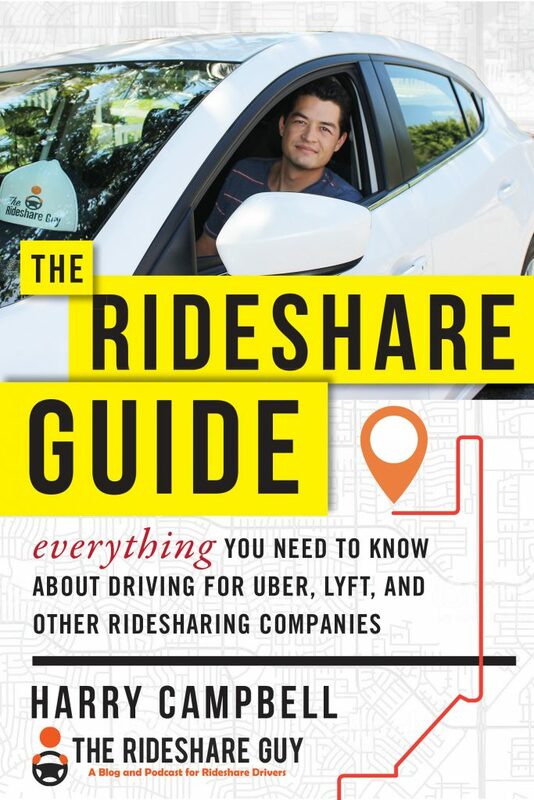 For ridesharing at least, only Uber and Lyft know for sure because they have the data. Perhaps it’s just simple demographics. The population of the earth has tripled during my lifetime from 2 billion people in 1948 to 7.5 billion today. While most of that population growth is in developing countries, many of those countries now have Uber/Lyft drivers. Many more drivers have emigrated to the United States, where they’re now sitting in their cars waiting for the next ping. Traffic and congestion could be simple surge and demand, given the increase in population in major US cities – or it could be due to increased traffic from Uber and Lyft. We won’t know unless Uber and Lyft release more substantial data about the impact (positive or negative) ridesharing has on city streets. Let’s put the data aside for a moment. What do anecdotal evidence and common sense suggest? Do Uber/Lyft increase congestion? Well, yes, of course they do. Whenever I drive in San Francisco, I’m amazed how many Uber/Lyft trade dress I see in the windows. They cause problems in ATL too because people are not on the curb ready to jump in. I usually try to get them on the phone to warn them I am coming up to them. If they are not ready on a crowded street like Peachtree or Cresent for instance I will have to keep moving and re-circle because of police demanding not to stop or other drivers horns. I have had some pax get pissy and had to cxl. Oh wellll. Just look around you when you’re driving in the city and chances are you’ll see Uber/Lyft logos in car windows all around you. 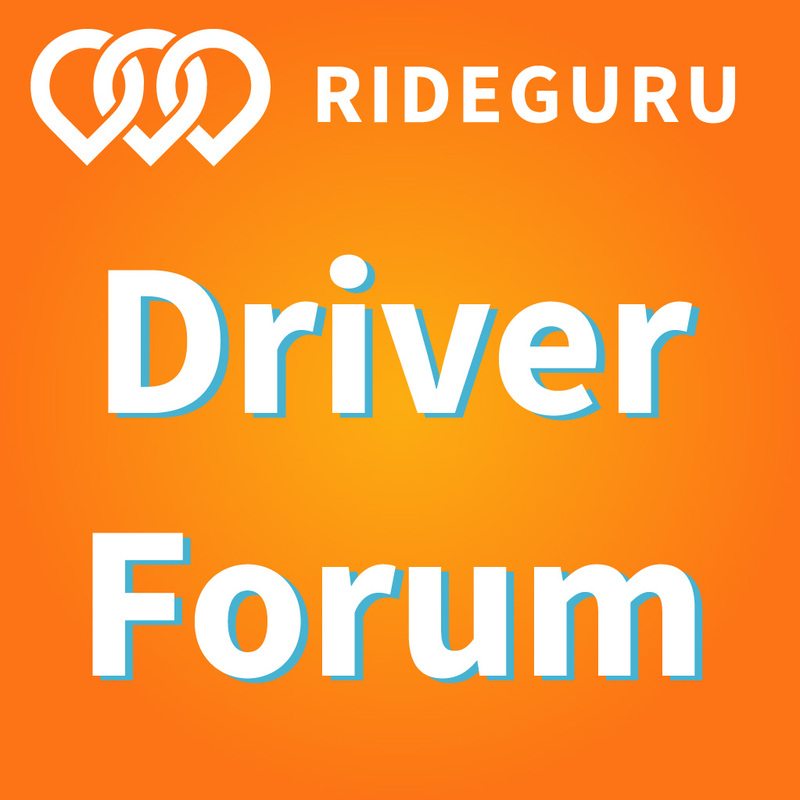 Would you and your fellow drivers be on the road at those times if you weren’t getting paid to do it? Maybe – there are many drivers who commute home and use destination filters to do so. But I’m willing to bet a great number of drivers are not simple commuters – they’re on the road because they are incentivized to do so. Editor’s Note: Tired of Sitting In Traffic? Try Delivery On A Motorcycle Instead! Escape city traffic jams while looking super cool. Add “Pro Motorcycle Rider” to your resume, business cards, LinkedIn, and dating profile(s). Who Pays for This Congestion? We might think of city streets as a finite resource, not unlike electricity or water. 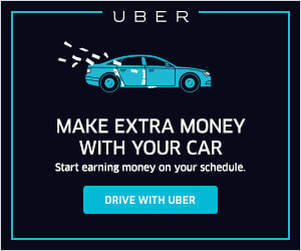 If Uber/Lyft drivers use more of that resource than others, the companies should pay. But who exactly should pay the tax or fee? In the past few years, San Francisco’s business license approach has brought mixed results, because drivers are difficult to target. The City of San Francisco eventually got driver contact info from the companies, and they mailed each of us our bill. There was a lot of discussion on Facebook groups about whether we had to pay and the emerging consensus was, “Don’t pay it… they have no way to enforce it.” Okay, city coffers have swelled a bit, but not as much as city officials hoped. I’ve yet to hear of any driver who received a fine or summons for failing to have a SF business license. I’ve even asked a few cops if they ever check for the business license, and they didn’t even know what I was talking about. So trying to collect from drivers for using city streets is not only practically difficult, but it’s also counterproductive. If drivers are required to pay the fee/tax, it’s going to come out of their pockets, and we now know that drivers’ pockets are not very deep. Passengers, in economists’ lingo, are price elastic. In common parlance, if Uber/Lyft fares go up, the use of the platform goes down. Passengers are never very far from a bus stop and maybe that’s why Uber is so aggressively pushing UberPOOL and UberExpress. These days, Uber and Lyft are competing head on with public transit. Uber says their service complements public transit because their passengers are using their service to get to and from the train station or bus stop. That strikes me as a dubious argument. The late great baseball player, coach and pop-philosopher, Yogi Berra once said, “It’s deja vu all over again” and that about sums thing up here. What is going on between Uber/Lyft and the city regulators is the very same conversation that took place decades ago when taxis were flooding the streets of New York and causing gridlock in the Big Apple. Those conversations gave birth to the Medallion System. Regulators wanted some mechanism to control how many cabs operated in New York so they artificially limited the supply by issuing medallions. Predictably, the market value of medallions soared, and an aftermarket debt/loan sprung up to help cash starved drivers get a medallion. A select few made a lot of money on those loans and some medallion owners got rich quick on the appreciating value of those assets. The invasion of Uber/Lyft drivers changed all that very quickly. One of my best buddies from high school got in the business of arranging loans for medallion owners and he did well, but when ridesharing happened, suddenly he had a ton of bad loans on his books. In the end, it’s the big banks that have to swallow the loans, and today my high school buddy is consulting with banks to clean up the mess on their books. Most of those medallion cabs are still on the road – but they’re now stuck in traffic more. Plus, they’re upset that Uber/Lyft drivers were give a free pass on the city streets while they felt they had to pay for the privilege through the medallion system. It’s not a clear argument, but the dimensions of the debate today are quite similar. What Can Be Done About Congestion and Traffic? Many proposals are now being floated, and almost all of them have some variation on a tax/fee for using city streets. A writer at Wired came up with a rather ingenious proposal that, if implemented, might just restore some semblance of order to city streets. … What we need instead, then, is a real incentive for the puppetmasters—Uber and Lyft—to free up road space and get cities moving again. Such an incentive would not need to touch regular car owners at all, and it wouldn’t even require local governments to define congestion zones or times. All those political decisions about who’s in the zone and who’s out, whether bridges are included, what happens at weekends—all of them could be rendered moot. After all, cities no longer need to work out ex ante where the congestion is going to be: Uber and Lyft have that information, in real time. What do you think about all of this? Is traffic and congestion just something we should expect, as cities get denser? Or do you think traffic and congestion is directly caused by Uber/Lyft and other ridesharing companies? At what point do Uber and Lyft release traffic data to defend themselves – or can they not, because the data does not defend them? If congestion is caused by Uber/Lyft, do you think they would ever agree to a tax that could reduce demand for their services? I don’t see them agreeing to any kind of proposition that could cut into their revenue base. Readers, what do you think about congestion and Uber/Lyft? Do you think increased congestion is due to drivers or other external factors?